And that was despite the fact that it's a sort of old school stick concealer that resembles a lipstick, which I generally don't like. Like all the CoverGirl + Olay products, they market it as a "Makeup meets Skincare" product -- its main claim is that it locks in moisture for flawless, smooth coverage. The packaging specifically recommends it for concealing dark circles, age spots, and redness. I picked it up on a whim -- CVS was having a BOGO half off sale on CoverGirl products and I'd already found another item that I wanted. The concealer costs over $10, which seems a little steep to me for a drugstore product but I guess everything's getting more expensive these days, huh? I didn't really have much expectations for the Concealer Balm, but I have to say, it's a really nice product. As promised, it does glide on the skin smoothly and it blends out like a dream -- it's not at all chalky and dry like I remember previous drugstore concealers in this style being. It also works really well with dry skin, though it's not so moisturizing that oily-skinned folks couldn't use it too. I've tried it under my eyes, on the redness around my nose, and a few other dark spots on my cheek, and it works well for all of that. I'm not sure I'd use it on acne, though -- while the packaging indicates that it won't clog pores, it seems a little moisturizing to be good on breakouts. I should also caution that if you have extremely dark circles under your eyes or very noticeable redness, this Concealer Balm might not get the job done -- it's just not a full coverage concealer. It offers more of a medium coverage so it's better for more run of the mill discolorations. I always powder my concealer so I'm not sure how long the Concealer Balm would last without fading on its own. With a little powder, it holds up for a good 8 hours, which is about average for me with concealer. Of course, I chose the lightest shade, 310 Fair, and it's a pretty good match for my skin. It has a slightly peachy tone, which definitely helps with blue discolorations under the eyes. All in all, I definitely recommend giving the CoverGirl + Olay Concealer Balm a try if you're in the market for a creamy, medium coverage concealer for dark circles, redness and other discolorations around the face. It's a little pricey for a drugstore product, but wait for a BOGO half off sale and it's pretty reasonable. 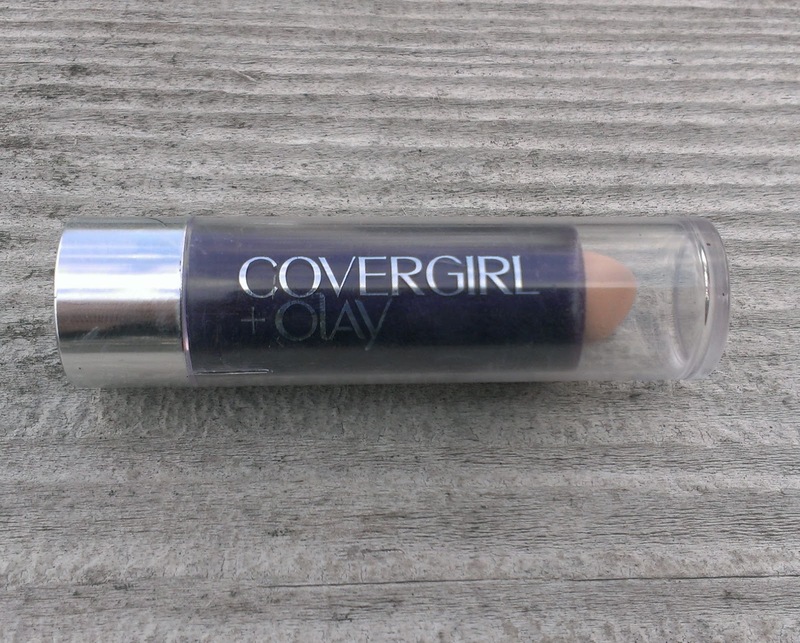 Have you tried the CoverGirl + Olay Concealer Balm? What do you think? Do you have a favorite undereye concealer?